90xl037 Timing Belt: 9" Length, 45 Teeth. Replaces: Grainger 1DHH4, Bando 90XL037, JASON 90XL-037, Dayton 1DHH4, Gates 90xl037. 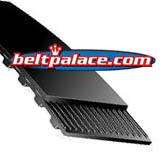 90xl037 Timing Belts: 9" Length, 45 Teeth, 3/8" Wide, XL (.200") Pitch. Same as Sears 4700-151-00. 90xl037 Timing Belt: 9" Length, 45 Teeth, 3/8" Wide, XL (.200") Pitch. Replaces: Grainger 1DHH4, Bando 90XL037, JASON 90XL-037, Dayton 1DHH4, Gates 90xl037. Sears Shaper/Router Belt# 4700-151-00 (Model 149.239110). Tristar Compact Vacuum Belt C-0011. GBC Binding Part 1981303 (belt). Bando Premium Timing Belt. 80XL037 TIMING BELT: 40 Teeth, 8" Length, 3/8" Wide, XL (.200") Pitch. 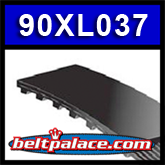 Replaces: JASON 80XL-037, Gates 80XL 037, OPTIBELT 80 XL 037, Grainger 1DHH3, Dayton 1DHH3, Bando 80XL037.